Patella femoral syndrome is a patella (knee cap) tracking problem. 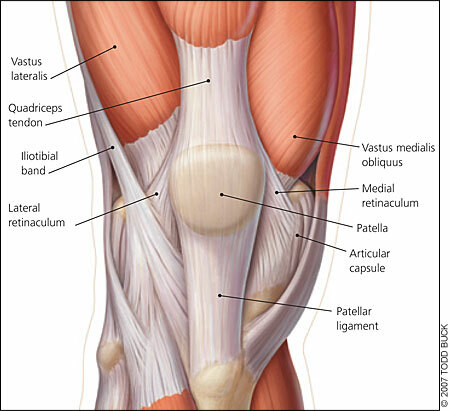 The lateral quadriceps muscle, Vastus Lateralis (and often the ITBand) becomes very tight and over powers the medial quadriceps muscle, Vastus Medialis. Ideally the patella should slide up and down in the patellar groove as the quadriceps contract. When the lateral side is too tight the patella is pulled to the lateral side. This causes a tracking problem for the patella and therefore rubbing and inflammation under the patella. The pain underneath and around the patella is the symptom but the areas that need to be corrected are the lateral quadriceps and ITband. At this point we need to examine further and try to determine why the lateral quad is tight. This injury is seen in people with poor mechanics of the foot. A person that over pronates with their ankle/foot will put extra strain on these structures. This may be corrected with something as simple as a change of shoes. If the shoe still does not give enough support to control the over pronation, often a custom orthotic will help. This injury is often seen in beginner runners, runners that ramp up their mileage too quickly and runners that are over training. It is important to see a sports specialist when you are having pain or discomfort (even better, see a sports specialist that is also an athlete). We tend to see the same injuries over and over and will therefore have a better understanding of what you can and can’t train through. Deep massage therapy is successful in treating patella-femoral syndrome, but I always treat this condition with Active Release Technique (ART). 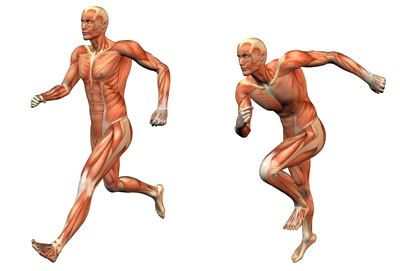 With ART the results are seen faster and I can often get the athlete back out training after only a few visits.